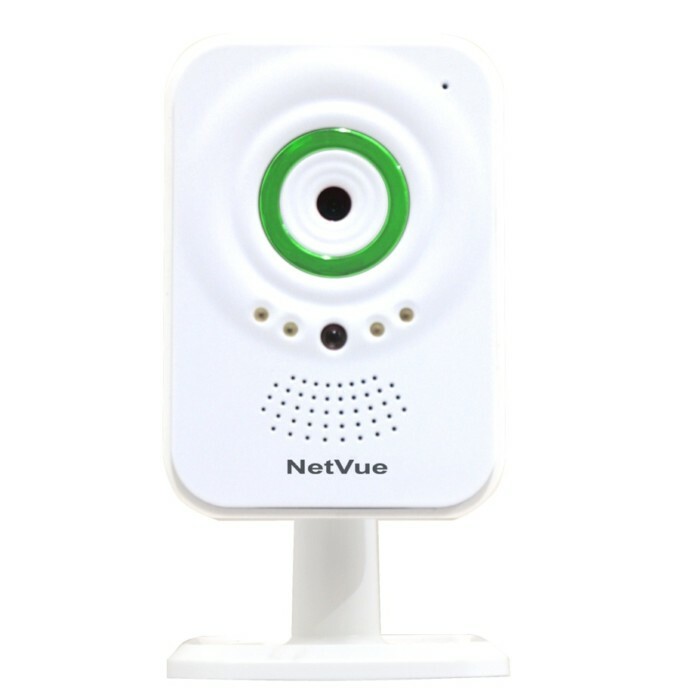 NetVue is a self-contained, video surveillance unit ideal for residential applications. It combines a network camera, SD memory card for 7 days recording; infra-red LEDs for night-time operation, motion detection and audio listen and talk functionality. On detecting movement it sends an alert to the user’s smartphone or tablet with the associated live video stream. 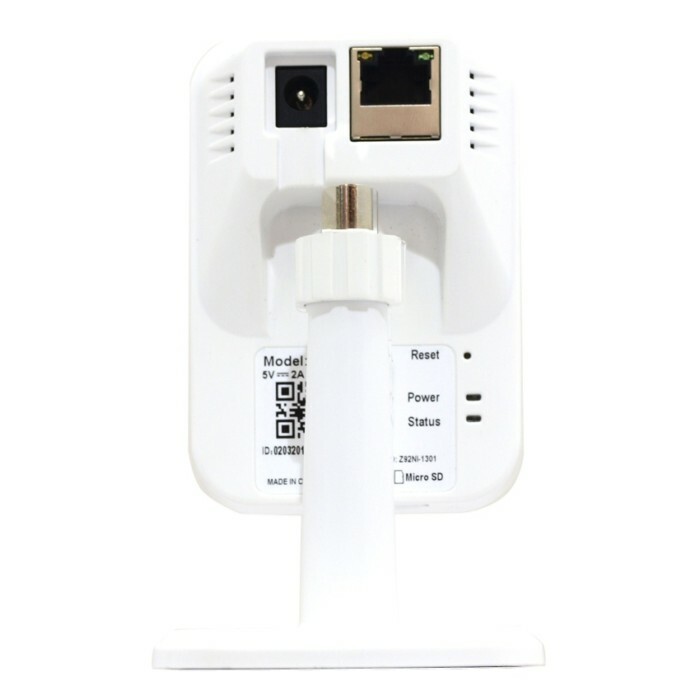 NetVue requires no physical connections except power, although it comes with an Ethernet port as standard. Users download the MyNetVue app on their phone or tablet. With the NetVue powered up, the user simply scans the QR code on the back of the NetVue with their smartphone or tablet. An interface appears on the screen which prompts the user to enter the password of the preferred Wi-Fi network. A second QR code then appears on the phone or tablet’s screen which, when put in front of the NetVue camera, completes the install with an audible bleep. The user then has immediate, secure access to all the NetVue’s functionality. NetVue records continuously when powered up. 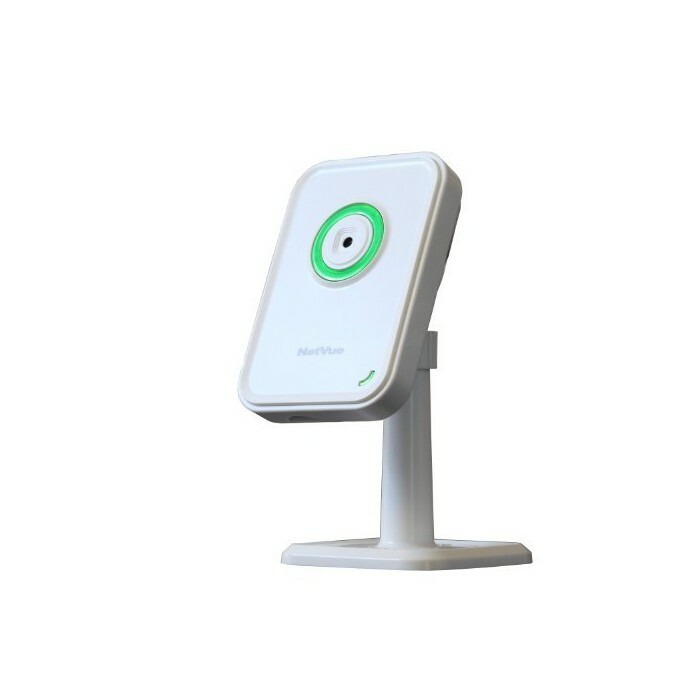 Users can watch and listen to live and recorded video, share live video with up to 20 other users, upload video images, set up motion detection and subsequent alarm notifications and speak to people on site. The SD memory card plugs into a compatible Windows PC and will play back video and audio files using the free network player software. Users can set up and manage multiple NetVue cameras on a smartphone or tablet, scrolling between each camera using the MyNetVue app. This function allows users to fit multi-camera systems into residential properties. There is no restriction to the number of properties, sites or NetVue cameras the user can control. Record to Phone or Tablet - At the press of a button you can instantantly record what you are wtahcing on your smartphone or tablet. you can record live video and audio, pre-recorded footage or take a snap shot image and save this on your phone or tablet. Alarm notification - You can automatically recieve 'puch-notifications' on your phone or tablet if the motion is detected. Two way audio - with two way audio you can listen to a live or recorded audio and you can also 'Talk-Back' through the camera. It will broadcast your messgae using its built in speaker. Built in Microphone and speaker - the built in microphone will capture a record every sound within a 5 metyre radius. Built in loudspeaker is used for two way audio 'Talk Back' braodcasts. Share images on Facebook or Twitter - NetVue allows you to upload snapshot images and recorded video direct to facebook and twitter.